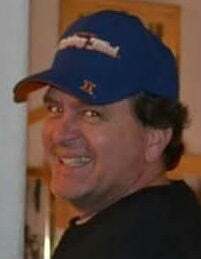 DECATUR -- Mitchell Andrew York, 55 of Decatur, passed away Wednesday, August 8, 2018, in his home surrounded by his family. Funeral services to celebrate the life of Mitch York will be 11 a.m. Tuesday, August 14, 2018, at Moran & Goebel Funeral Home. Visitation will be from 5 p.m. to 8 p.m. Monday, August 13, 2018, at the funeral home. Burial will be in North Fork Cemetery. Memorials may be directed to The ALS Association St. Louis Regional Chapter 2258 Weldon Parkway - St. Louis, MO 63146. The family of Mitch York is being served by Moran & Goebel Funeral Home, 2801 N. Monroe St. Decatur, IL. Please view the online obituary, send condolences, and share memories at www.moranandgoebel.com.